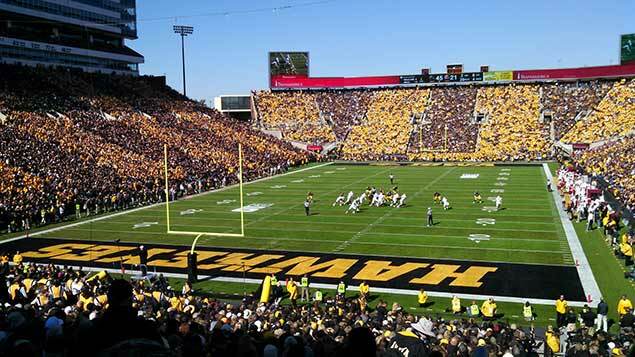 Ride with us in one of our state-of-the-art charter buses in Iowa City! Our friendly and reliable staff will ensure that your expectations are met and exceeded. Windstar Lines has been a leading name in the motorcoach industry for 20 years and we continue to pride ourselves in providing excellent travel services in the Midwest. For all of your trips to or from Iowa City, call Windstar Lines. The Iowa City area has over 6 wineries and breweries to visit. Let Windstar help you plan a safe weekend getaway for you and your party. From scheduling pick-ups to arranging activities and tours, we do it all. Whether your party is a group of 10 or 50, we can provide the proper accommodations for all of your transportation needs. We even offer hotel and airport shuttle bus services! We will use our expertise in motorcoach services to ensure that you will have a stress-free planning experience. Call Windstar for excellent charter bus services at great rates. Windstar drivers are professionally trained, licensed, and required to meet all FMCSA standards, which means you will stay safe throughout your motorcoach or bus rental in Iowa City. Our drivers are friendly, helpful, courteous and caring and strive to provide you with a safe, friendly experience. You will find all of our staff fun, easy to work with, and exciting to be around. With our professional team and fleet of luxury motorcoaches, Windstar Lines has proven itself to be the number one motorcoach company in the Midwest. Travel with us for an all around great experience.